Smart TV privacy issues have always been the bane of almost every Smart TV user. Due to severe privacy concerns, some users, mainly skeptics, have even opted out of buying this wonderful example of IoT. You Don’t Only Watch TV, TV Watches You!! Given the recent file dump by WikiLeaks, it has been proven beyond any doubt that the skeptics were not skeptical after all! Seems like their Smart TV privacy concerns were genuine and all that chatter about IoT devices being highly susceptible to malwares and other security exploits were true. Some of you, who are always concerned about their Smart TV privacy issues might convincingly deduce that these exploits were carried out by hackers, which is just normal to assume. But sorry to burst your bubble…these hacks were the work of third-party agencies that co-developed a malware, WeepingAngel to virtually control Samsung F8000 Smart TVs. Basically, the WeepingAngel bug puts the Smart TV in a Fake Off mode, where the TV, although turned on, appears to be turned off to the user, secretly listening to their private conversations. The malware tricks the users into thinking that their TV is turned off by suppressing its LEDs. According to the Wikileaks, the agency didn’t stop there but it had future plans for upgrading the malware by adding a Fake Off mode for the Smart TV’s Wi-Fi, video capture ability, auto upgrade restriction, and more. Right now, the more pressing Smart TV privacy issue is what if such cyberarms are being used by some other agencies or individuals as well? And if so, how do we defend ourselves, our home and our life? Fortunately, there are some precautionary measures that users can take to minimize the chances of hacking or spying and ensure their privacy while using their Smart TVs. It is clear from the WikiLeaks report that the vulnerabilities were exploited on systems running older version of the firmware. Therefore, start the preventive measures by upgrading your Smart TV firmware to the latest version. Keep the system updated at all times because new system updates are always rolled out with latest security patches. You now know that Smart TV privacy concerns are very real, which is why you need to pay heed to what the so-called skeptics say, which includes not clicking any links that seem suspicious or unsolicited. Just like you use a firewall for your desktop computer systems to fend off malwares or viruses, you need to enable your Smart TV’s firewall as well. Check out your Smart TV privacy settings to enable any integrated firewall feature. Just like a Smartphone, your smart TV’s webcam is a great threat when it comes to Smart TV privacy issues. The simple solution includes a tape or a sticker. Keep your Smart TV webcam always covered with a piece of tape when not in use to prevent any unwanted prying eyes spying on you. It is not just the camera, but the microphone as well that you need to cover. Latest Smart TVs now come with voice interaction systems that are usually kept “always on”. The best way to prevent snoopers from listening in on your conversation is to disconnect the internet of your Smart TV when not in use. Smart TV privacy issues are mostly linked to unsecure network connections. Try using a reliable VPN service like PureVPN to encrypt the network itself and enjoy complete security. Want to keep your private data safe and secure from the onset? Immediately opt out of such policies. 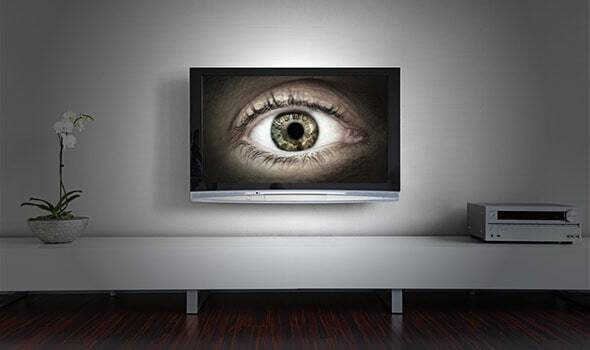 Following are some Smart TV privacy settings for different TVs that you should look into today. Go to Home > Settings > System > Expert Settings > Voice Interaction and disable it from there. Go to Home > Settings > Support > Terms & Policies and opt out of every policy that may be used for data mining. Go to Menu > Smart Hub > Terms and Policy >SyncPlus and Marketing and deactivate it. Go to System > Reset & Admin > Smart Interactivity or Menu > System > Reset & Admin > Viewing Data to Off. Go to Setting > General > About This TV > User Agreements and disable every data mining policy. Go to Settings > Options >LivePlus and turn it off. All the security measures that we have presented above may not keep you 100% secure, but they will still help you shun unwanted third parties from viewing your activities or listening to your conversations, relieving at least most of your Smart TV privacy issues. At the end of the day, what you can do to protect your privacy on your part is to stay vigilant. Plus, use encryption wherever and whenever possible.